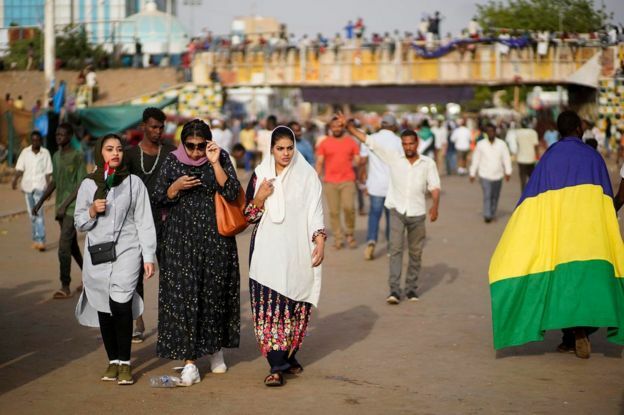 A spokesman said Sudan's future would be decided by the protesters who took to the streets to demand President Omar al-Bashir's removal. Mr Bashir is the subject of two international arrest warrants issued by the International Criminal Court (ICC), which accuses him of organising war crimes and crimes against humanity in Sudan's Darfur region between 2003 and 2008. Mr Bashir, one of the world's longest-serving leaders until he was ousted on Thursday, is now in custody. Lt-Gen Omar Zain al-Abidin, who heads the military council's political committee, said on Friday: "The solutions will be devised by those in protest. "You, the people, will provide the solutions for all economic and political issues. We have come with no ideology, we have come here to maintain order and security to provide the opportunity for the people of Sudan to achieve the change they aspire to. "We have no ambition to hold the reins of power. We are here to provide an all-inclusive umbrella. "Our key responsibility is to maintain public order," he added. "We will have zero tolerance for any misdeed in any corner of the country." 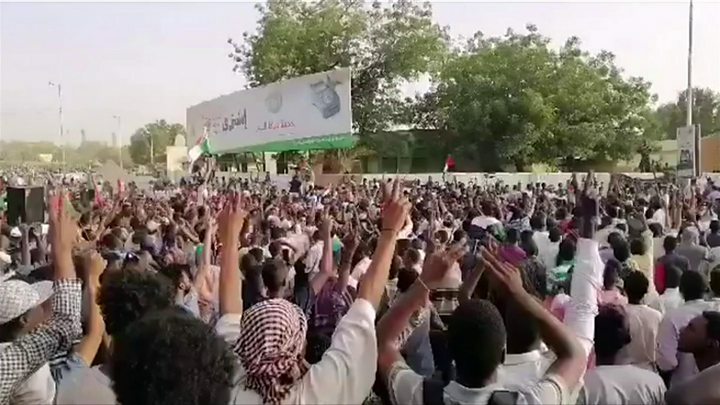 Sara Abdeljalil, a member of the Sudanese Professionals' Association (SPA) which has spearheaded the protests, said on Thursday that the new military council was a "continuation of the same regime". "So what we need to do is to continue the fight and the peaceful resistance," she said. Reacting to the military's conciliatory statement on Friday, Khartoum resident Tagreed Abdin told the BBC she was not reassured. "First of all, we don't know who's behind the military council," she said. "We are used to hearing government double-speak but we need to see if they're really interested in dialogue and listening to the voices of the people."